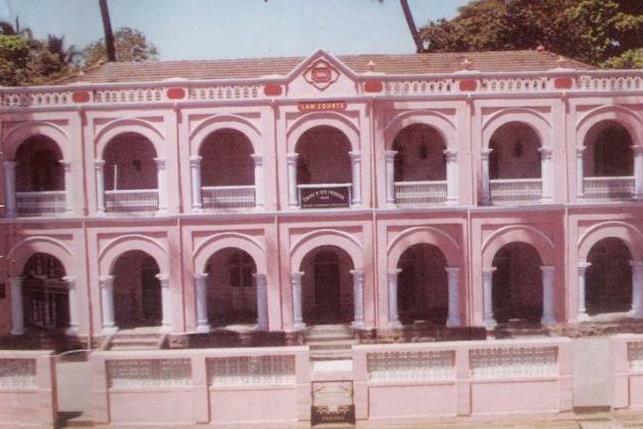 Judicial History : Previously there was High Court of Sangli Sansthan. Present Court buildings are built in the year 1908. Previously the district was named as 'South Satara'. Subsequently, after 1949 Sangli District came into existence. There are District and Sessions Courts, Courts of Civil Judge, Sr.Dn., and Court of Chief Judicial Magistrate, at Sangli. There are co-operative Courts, Labour Court, Industrial Court, Court of Asstt. Charity Commissioner, at Sangli. The Courts of District Judge, Courts of Civil Judge, Sr.Dn., are also opened at Islampur. Various types of Civil and Criminal litigation are pending in the District Court. There is open jail at Atpadi called “Swatantrapur” where the prisoners undergoing sentences are residing. 1) Air : Nearest airport is at Belgaum, 130 Kms.from Sangli. 2) Rail : It is railway station on Pune-Kolhapur railway. It is well connected with important cities like Delhi, Goa, Tirupati, Kanyakumari, etc. 3) Road : It is 40 Kms. to east from Pethnaka which is on Pune¬Bangalore highway. Online Court Fee through GRAS accepted.